Home / SPC Programs & Events / Study Abroad in Germany! Experience the world of eastern European culture by participating in SPC’s Germany Study Abroad program during spring break 2018 and enjoy all that Germany has to offer! Study Abroad offers SPC students the chance to further themselves culturally, to build their resume, and set themselves apart in the world. Ready to participate or want to learn more? Click here to visit the study abroad webpage for Germany. Eligibility: In order to participate in an SPC study abroad program, students must be in good academic standing and eligible to enroll in one of the available study abroad courses offered. Germans love to celebrate! All year round there is a celebration for nearly every occasion. The Arts! Germany which is home to Bach and Beethoven, has approximately 300 theaters, 130 professional orchestras, and 630 art museums. Most Germans speak English! Students traveling to Germany are unlikely to encounter a language barrier, because although the primary language is German, many Germans speak English. The youth culture! 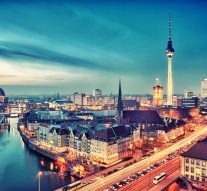 Germany offers a variety of music, shopping, and nightlife to entertain students of all ages. Berlin Zoo! Germany’s Berlin Zoo is one of the largest Zoo’s in the world, and I home to more than 15,000 animals. The Holocaust Memorial! Stunning architecture that commemorates the lives lost during their country’s darkest time in history. The Reichstag! The home of the German parliament, this government building burned down during Nazi Germany, and has been renovated so that the architecture now has an awe inspiring glass dome. Murals! Berlin is currently considered by most to be the street art capital of the world. Travel by boat! The city of Hamburg is built on water, giving students the opportunity to tour the city by boat. Food! Germany is home to some of the world’s best food. Want to read more on check out Awesome Things to Do In Berlin. Have any questions on SPC’s Germany Study Abroad program? Contact Anna Faiola by email at faiola.anna@spcollege.edu or by phone at 727-712-5883.